Sharing your wealth with a preferred charity can reduce your taxable estate and ease your income tax liability. But, unless you meet IRS substantiation requirements, the Service could deny the corresponding deductions you’re claiming. Let’s look at the requirements for different asset types. Generally, you can substantiate gifts of less than $250 with a canceled check, written receipt, or other reliable record (such as a credit card statement) that indicates the name of the charity and the amount and date of your gift. provides a good-faith estimate of that value. Gifts of $250 or more require a “contemporaneous” written acknowledgment from the charity that includes the amount and date of your gift and the estimated value of any goods or services you received or a statement that no goods or services were received. If goods or services received consisted entirely of intangible religious benefits, a statement to that effect must be included which can be in email form. To satisfy the contemporaneous requirement, you must have the acknowledgment in your possession before you file your income tax return. If you file later than the extended due date of your return, you must have received the acknowledgment by that extended due date. If you make noncash gifts totaling more than $500 for the year, you must file Form 8283, “Noncash Charitable Contributions,” with your federal income tax return. For gifts of property valued at more than $5,000 ($10,000 for closely held stock) you’ll need to obtain a “qualified appraisal” by a “qualified appraiser” and have the appraiser sign Sec. B, Part III, “Declaration of Appraiser.” If the property is valued at more than $500,000, you are required to attach a copy of the appraisal report to your return. No appraisal is required for publicly traded securities, regardless of value. not involve fees based on a percentage of the appraised value or deduction amount. Don’t leave it to chance and potentially lose out on deductions. 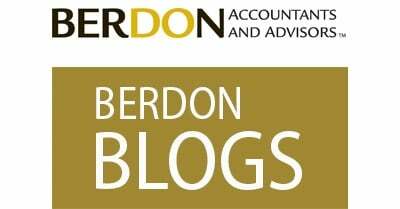 If you have questions about compliance with IRS substantiation rules, contact me at SDitman@BerdonLLP.com or call your Berdon advisor.